Two extra DVD episodes of Durarara!! Happens between episodes 12 and 13. A UFO is supposedly spotted in Ikebukuro, but what is it really? Happens after episode 24, the final episode. 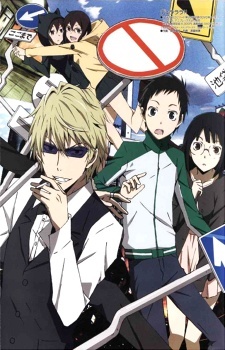 Shizuo's brother hosts a TV special downtown, but his life is apparently in danger.